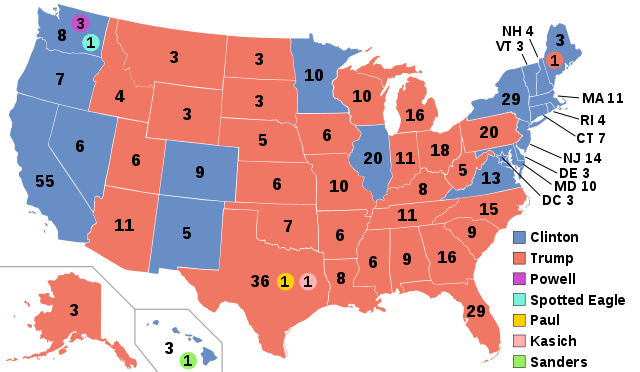 2016 Final Electoral Map. The final results of the 2016 presidential election, including faithless electors. Donald Trump received 304 electoral 得票数 to be elected the 45th president of the United States.. Wallpaper and background images in the U.S. Republican Party club tagged: photo 2016 presidential election 2016 electoral map 2016 electoral map with faithless electors electoral college donald trump hillary clinton.